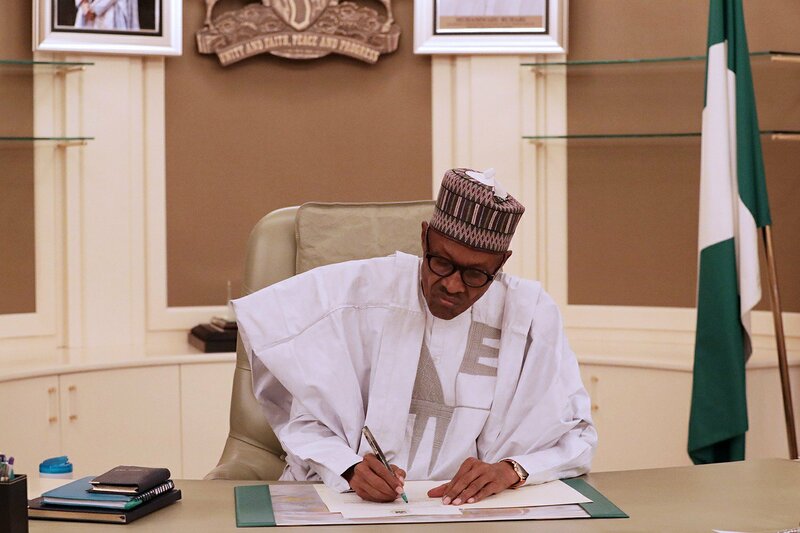 President Muhammadu Buhari, on Wednesday swore in the remaining seven Permanent Secretaries that were among the 22 directors that passed the promotional examination and appointed in August. 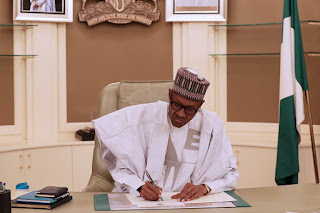 Fifteen of the Permanent Secretaries were, on August 15, sworn in by Yemi Osinbajo when he acted as president while President Buhari was on medical vacation in the United Kingdom. Those sworn in are Mustapha Suliaman (Kano), Adekunle Olusegun Adeyemi (Oyo), Mrs. Ekaro Chukwumogwu (Rivers), Adedayo Akpata (Ekiti), Abdulkadri Muazu (Kaduna), Osuji Ndubusi (Imo) and Bitrus Nabasu (Plateau). The brief ceremony took place before the commencement of the Federal Executive Council (FEC) meeting presided over by the president. The newly sworn in Permanent secretaries would resume duty when their colleagues from their states, currently in service, retire.